2017 AOPA Fly-Ins - Now Two Days! Want to exhibit your products? You asked for more from your AOPA Fly-In. We listened. The 2017 fly-ins are going to be our best yet, with expanded programming and lots of new opportunities for you to connect with fellow aviators, deepen your skills, and grow your aviation experience! Register for Friday Workshops led by world-renowned presenters (tuition fees apply) for in-depth skill development, or join us later for a happy hour in the Exhibit Hall when it opens at 4:00 p.m. 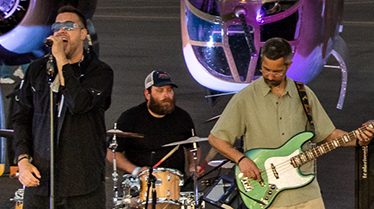 The fun continues at 6:00 p.m. with music, food, and fun at our ever-popular Barnstormers Party, presented by Jeppesen (always a sell-out, register early!). 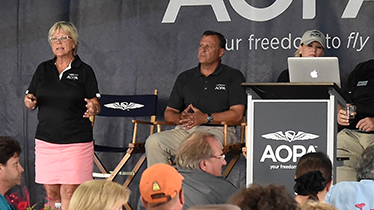 Saturday activities include free seminars all day, dozens of exhibits and aircraft on display, great meals, and a Pilot Town Hall with AOPA President and CEO Mark Baker. 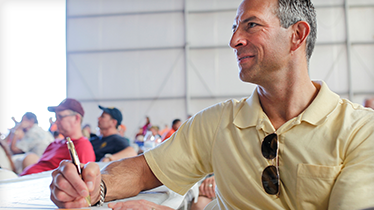 Visit the AOPA Village to learn how AOPA can help you become a better pilot, own an aircraft, or plan your next flight. 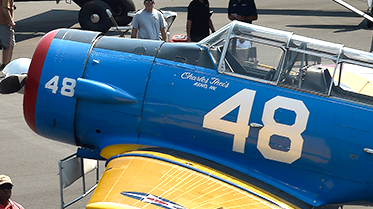 New activities at this year’s fly-ins include a Kids Zone and the Aircraft Sellers Corral. 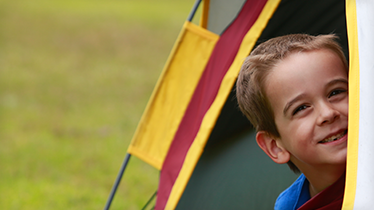 Plan to camp with your aircraft and consider a fly-out with your new friends! We’re hard at work developing an expanded camping experience, Saturday afternoon fly-outs, and more features to enhance your AOPA Fly-In experience, so stay tuned for announcements and exciting news for the best year of fly-ins yet! AOPA Fly-Ins are as much about having fun and making connections as they are about learning and improving your piloting skills. 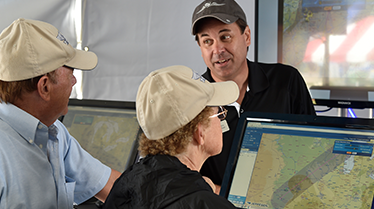 AOPA Fly-Ins have lots of opportunities for you to connect with new friends, expand your knowledge and experience as a pilot, discover new products, make a purchase for your aircraft, and be part of the aviation community. Friday, 4:00 to 7:00 p.m. There's more to an AOPA membership than a monthly magazine. Meet AOPA staff and find out all the products and services we have to help you become a better, safer pilot, own an aircraft, plan your next flight, and grow general aviation. NEW! We're opening the Exhibit Hall Friday afternoon with a happy hour to give you more time to mingle with industry experts and explore the latest new products and aviation gear. On Saturday, the exhibits continue with the best products and services aviation has to offer! 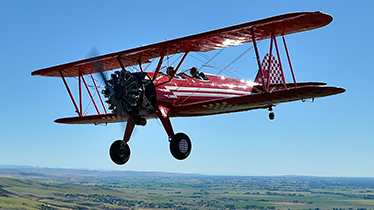 From contemporaries to classics, see dozens of aircraft from manufacturers, associations, type clubs, flying clubs, flight schools, and local collections. Interact and learn about the latest innovations in airframes and avionics, consider purchasing a new aircraft, or join a type club or aviation association! Tuition fees and pre-registration required. NEW! Roll up your sleeves for an all-day, hands-on workshop to deepen your skills and experience. Each fly-in offers four subjects to choose from for a seven-hour intensive clinic with world-class presenters. Pre-registration is required. Tuition fees apply: $105 for members, $155 for non-members, $75 for spouses. Check your fly-in of choice for more details. Join us at the Barnstormers Party for food, family, friends, and fun under the stars and surrounded by beautiful aircraft. Enjoy southern barbecue and an assortment of desserts to satisfy your sweet tooth, while listening to the sounds of a popular local band. Presented by Jeppesen, this event is always a sell-out, so be sure to buy your tickets early. Breakfast, 8:00 to 9:00 a.m. 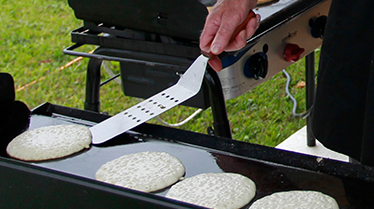 Lunch, 11:00 a.m. to 2:00 p.m.
Start the day with a traditional pancake breakfast including bacon and scrambled eggs. That's enough fuel to take you through the AOPA Village, Exhibit Hall, and Aircraft Display. After a seminar or two, you'll want to break for lunch at our Food Court where you'll have several mouth-watering meal options to choose from. We guarantee you won't leave hungry! 9:00 a.m. to 1:45 p.m. Become a better, safer pilot as you attend multiple seminars, led by world-renowned presenters that provide opportunities to learn, deepen your skills, and expand your knowledge and experience. Check your fly-in of choice for the Saturday seminar schedule. 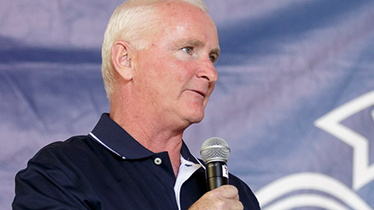 Saturday, 2:00 to 2:45 p.m.
No AOPA Fly-In would be complete without a Pilot Town Hall to meet with AOPA President and CEO Mark Baker. This is your opportunity to talk with him, share your thoughts, ideas, ask questions, and learn about important general aviation initiatives AOPA is engaging in. Join us afterwards for a free ice cream social! NEW! 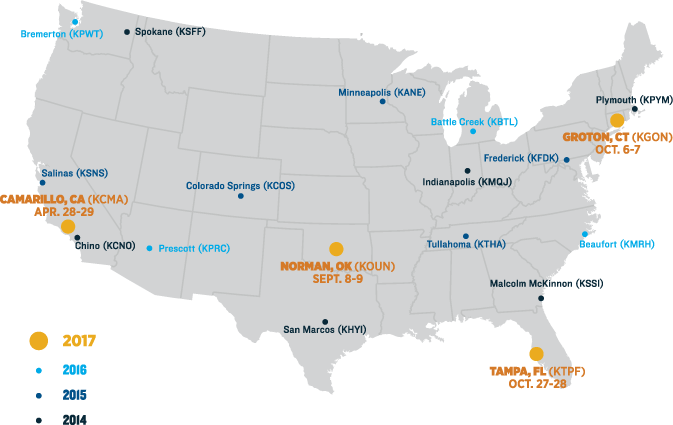 We're working on organizing special fly-outs to destinations near each AOPA Fly-In to give you the opportunity to apply the skills and knowledge learned during the seminars and workshops. Why not enjoy one more chance to connect with other pilots and extend the weekend with more reasons to fly? Returning to the skies is not as difficult as you may think. The Rusty Pilots three-hour seminar gives you all the information you need to get current again, including credit toward the ground training required for your Flight Review. Third Class Medical reform is now a reality with the FAA’s new BasicMed program, so this is the perfect time to begin your return to the skies! Free to AOPA members, or join AOPA to waive the non-member registration fee of $69 and get all the benefits of an AOPA membership for one year. The AOPA Fly-In is the perfect opportunity to pick up where you left off. Choose between two sessions: Friday night 4:00 to 7:00 p.m. or Saturday 9:00 a.m. to 12:00 p.m. When you're a pilot, travel is just as much about the journey as the destination. We’ll provide you with everything you need to know about traveling to and staying at the AOPA Fly-In of your choosing. Flying in to an AOPA Fly-In is the most fun way to attend, but you don’t have to bring an airplane to participate. We will provide special flight procedures for pilots, and great directions and parking accommodations for drivers. If you're a creature of comfort, we’ve got nearby hotel suggestions for you. Rental cars and other ground transportation options can help you get around and enjoy the local attractions. 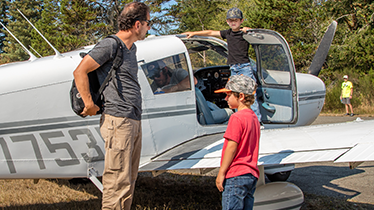 Many pilots enjoy camping with their aircraft, and we’re making arrangements to enhance the experience with showers and special hospitality accommodations. Pre-registration required and modest fees apply. Maybe one of our destinations is in a location you've had on your bucket list to check out. Then now's the time to do it! We’ll provide you with a list of things to do, places to eat, family fun, where to rent a car, and we'll organize excursions to specific spots in the area. Every fly-in location is rich with exciting opportunities to explore beyond the airfield.  Check out each location for activities, excursions, and tours.